Miri will resonate with the sound of music as the inaugural Asia Music Festival takes place at the Eastwood Valley Golf & Country Club on the 4 & 5 October 2013. 13 Asian bands from the Philippines, Korea, India, Malaysia, Indonesia, Thailand and Brunei have confirmed to perform at this festival. Among them will be the talented Tritha from India that will make her first ever performance at the Asia Music Festival in Sarawak. 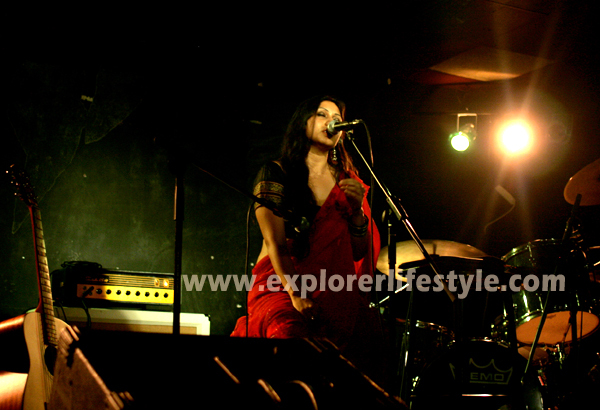 She includes her ideas in her songs with “Lyrics that deal with women’s liberation, social oppression and sexual exploitation” (Hindustan Times). In June 2012, she was featured on a full page in Marie Claire India as one among the ten most interesting young Indian women, and also that same month, in Tehelka Magazine. Tritha’s picture has been traveling all over the world in 2011 and 2012 with the exhibition Women Changing India, organized by the Magnum Photo Agency and BNP Paribas. Asia Music Festival Tickets are still available at Visitor’s Information Centres in Miri (085-434180). For enquiries, contact Sarawak Tourism Board at 082-423600 or log on to http://www.asiamusicfestival.net and http://www.facebook.com/VisitSarawak for more updates. You can also view a list of the other Music Festivals in Sarawak. Fakhrul Razi was the only Bruneian who got into the final stage of the World Championships of Performing Arts (WCOPA) that took place in Hollywood, California earlier this year. He will perform in Miri, Sarawak for the first edition of Asia Music Festival held at the Eastwood Valley Golf & Country Club this Friday and Saturday. 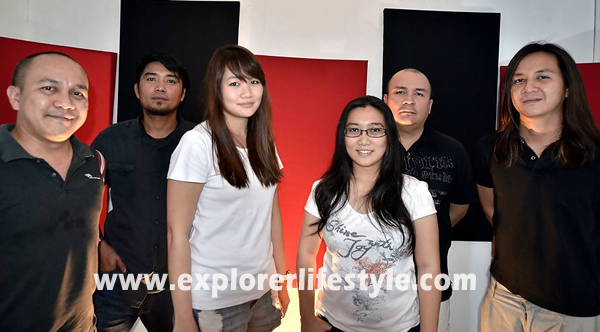 He will also be performing alongside with one of Miri’s top local bands – Camouflage. 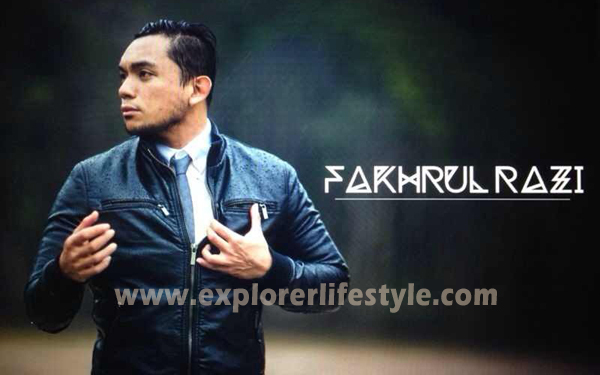 As an independent Brunei singer-songwriter, he began writing his own songs when he was 14 years old. He has performed in numerous shows and events in Bruneiand International arenas since 2004. Against his career in the music scene, he is also a TV host for the morning show Rampai Pagi at Radio Televisyen (RTB), a Radio announcer at Kristal FM, an independent radio station in Brunei and one of the most sought emcees for important and exclusive event in Brunei Darussalam. Other than Fakrul, there will be 7 other international bands will be performing at Asia Music Festival, namely Bembol Rockers (Philippines), VSTAR featuring Kamal Musallam (Korea), Anthony Dassan Yen Party Band (South India), Orkes Soesah Tideor (Indonesia), Foxy Girls (Indonesia), Boy Thai Band (Thailand) and Tritha (North India). Not forgotten, the Malaysian bands, among them are Melissa Francis, Starlet Band, The Mountain Wind Band, Hevance Band and Sarawak very own Bob from the famous Malaysian TV program, Akademi Fantasia.AMF promises the most electrifying eclectic, mix-genre of live music comprising bands from the Asian region that will thrill the crowds. The Festival tickets are still on sale at all STB’s office and Visitors Information Centre located at Old Court House, Kuching (+6 082-410944), Jalan Melayu, Miri (+6 085-434180) and Jalan Tukang Besi, Sibu (+6 084-340980), Curtin University Sarawak Campus and Eastwood Valley Golf & Country Club (+6 085-421010). Entry tickets are priced at RM30 for adults and RM15 for children/students aged 3-18 (ID required during entry). Information and updates about the festival is available at http://www.asiamusicfestival.net and http://www.facebook.com/SarawakTravel.